Carlson is the #1 Dealer for Timesavers products! Carlson Fabrication Solutions has been the #1 dealer in the nation for Timesavers products for both 2016 and 2017. 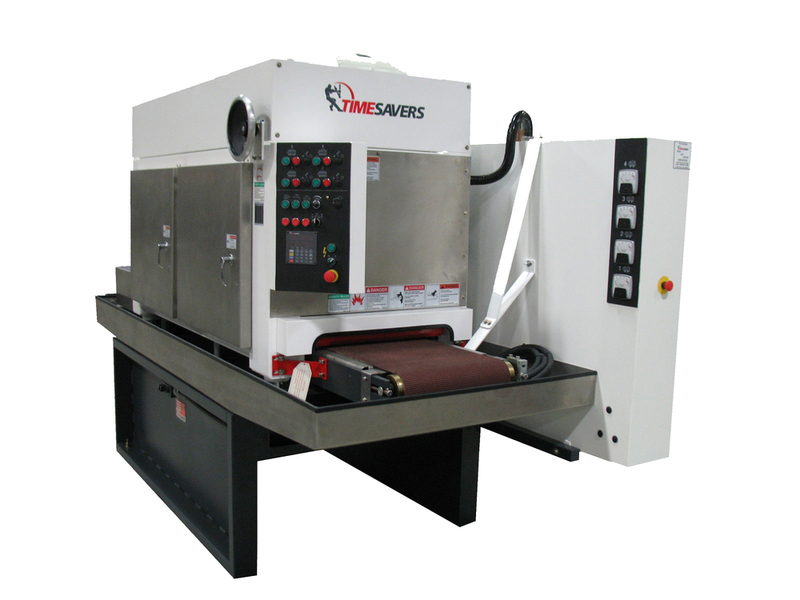 Timesavers has over 70 years of experience in manufacturing metal working machinery. Our Metal Sanders and Deburring Machines are built with the craft in mind. We know different jobs require different approaches, and nobody offers a wider variety of solutions than Timesavers. To satisfy your needs, it is important that you find the right machine, including the number of heads, type of heads, wet vs. dry, abrasives, etc. We offer it all and are ready to help you make the right decision. Wet and dry machines both process the material in the same way; wet machines simply add coolant that is sprayed on the part as it is processed. Dry Machines are often the first choice because they are generally less expensive to purchase and often have a longer life. However, risks of fire, unwanted warping due to heat friction, and two footprints can result. Wet Machines include a filter unit that also pumps the coolant on the part, and usually include a drying unit that removes the coolant from the part as it leaves the machine. Difference includes one footprint, longer belt life and a finer finish than dry machines. With a small footprint but packed with mighty features, this part is ideal for finishing parts. With a slag, dry disc and ALL NEW Manual Grinder, the series 1200 is ideal as a cost-saving but yet versatile usage for grinding. 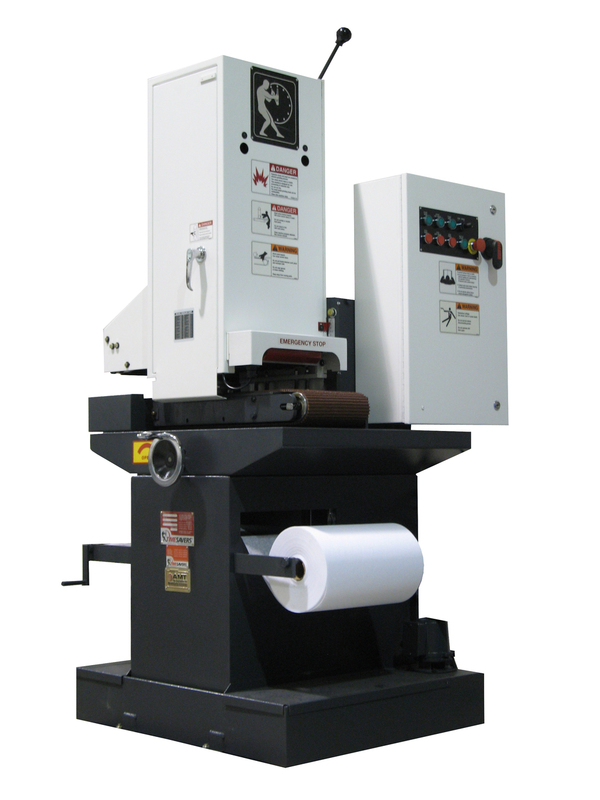 Timesavers Model 2100 is available with one belt in 25" and 37" widths. This machine offers many features of larger single-head wet machines, but with light horsepower and compact design for an economical price for lower production requirements.